Rebuilding his Konvict Muzik brand, Akon has added such artists as Johnny Michael and Young Swift. With his buzz growing, Young Swift teamed up with DJ Scream and DJ Nando to release his new mixtape, M.D.M.I. (Major Deal, Minor Issue). Akon, along with the two DJs, hosted the mixtape. Young Jeezy and Phocuz make appearances on the new project. Download M.D.M.I. 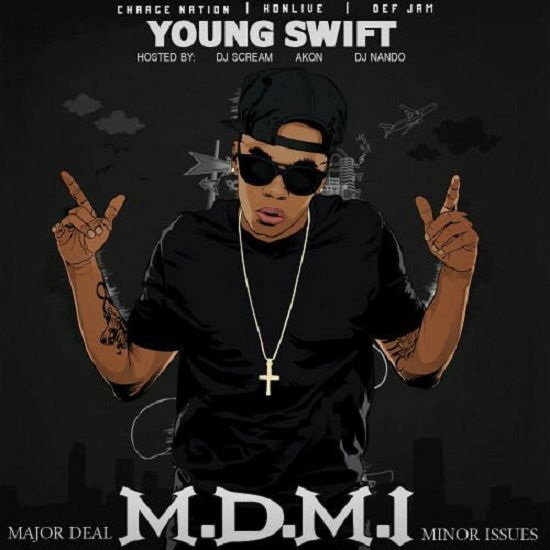 (Major Deal, Minor Issue) by Young Swift here.